Every year a great gathering with the title of choosing the miss world is held in which many girls and women from all over the world participate to be graded in the main aspect the west has for choosing the competent woman: appearance. But Allah, who is the creator of the beauty, mentions other characteristics as the worthiness of a woman and in His viewpoint, who is the true judge, the competence standards are some other things which unlike appearance should be acquired. 1- The verses contemplating the absolute purity and avoiding any kind of uncleanness and misdeed. 2- The verses contemplating the purity and chastity of women and devoid of any sexual sins and illegitimate relations with strangers (non-Mahrams). In this verse, Allah has preferred Lady Mary (PBUH) to other women of the world because of her purity and mentioned her among chosen and competent women. This point indicates the high importance and value of purity for women and also expresses this fact that this attribute is one of the standards of superiority and excellence of every woman. 3- The most holy Allah in Surate of Al-Mumtahina, verse 12, mentions chastity and avoiding impurity of sexual deviation (adultery) as the stipulation for acceptance of women’s penitence and also the stipulation for acceptance of their swear of fealty with the prophet of Islam (PBUH) which expresses the high importance of this attribute among other attributes of exemplary and competent women in the holy Quran’s perspective. 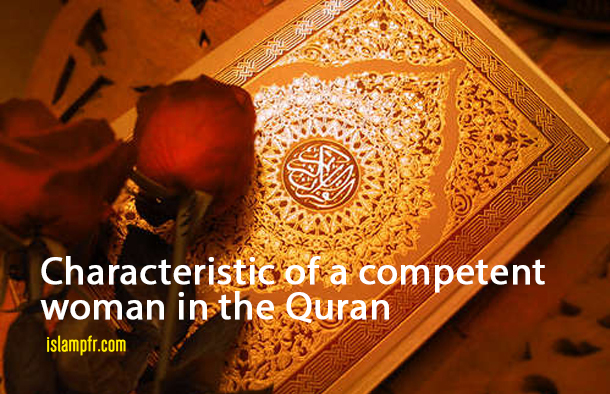 One of the other characteristics and attributes of exemplary and competent woman in the Quran’s perspective is Hijab and appropriate covering. The concept of Hijab for women – regardless of the its extent and appearance –and the women’s restraint from exposure in inappropriate covering in front of non-mahrams, is a constant and definite tradition for Muslims from the beginning of Islam till now and also is one of the issues that all scholars and religious jurisprudents from all creeds and sects of Islam has reached consensus about it and they had and have unanimty (so-called Ijma) about it throughout history and it can be certainly said that: no religious jurisprudent and learned Islamologist hasn’t any doubt about it. In addition to the definite tradition and indisputable consensus and numerous and various narrations from Shia and Sunni, many verses imply this issue, only two which we mention herein as example and proof. According to the mentioned verses and narrations related in the commentary of these verses and also considering commentators’ and scholars’ opinion about it, there is no room for doubt about the necessity of Hijab and covering for women and as well as the importance and exalted stand of this matter in divine instructions and also this fact is clearly evident that Hijab is a symbol of Islam and a sign of obedience to the Quran’s instructions and hence the secret and cause of anti-Hijab policy of the western and eastern colonialist countries and also those who are westernized and secular and have low self-esteem in Islamic countries can be found out. Restraint from show off and makeup and also any behavior, parlance and act that attracts attention of non-mahrams and provokes them is of other attributes and characteristics of competent woman and exemplary lady. It is worth noting to mention two verses of the Quran about this matter. Finally, it worth mentioning the point that as much as showing off for attracting other’s attention is prohibited and indecent; it is accepted and admirable to attract and fascinate the husband and even it is encouraged and recommended and women who are apathetic toward this matter or have poor performance, are seriously reproved. Of other attributes of exemplary women and competent ladies is to have chaste eyes and avoid to look with lust and pleasure to non-mahrams. In other words, ogling and gazing to non-mahrams is prohibited and indecent for all believing men and women. The point that is noticeable and instructive in this story is hidden in the phrase “walking bashfully”: the most salient excellences for women is bashfulness and pudency; because among all attributes and characteristics of Shuaib’s daughters, just bashfulness and prudency has been noted.